BIG AND WELCOMING FAMILY HOUSE ,2400+ sq. ft. 2 storey 5 bedrooms and 4 full baths. Excellent contemporary open plan with exquisite finishing and details. Main Entry open to above Entry, flex/den/5th bed, full bath, Living Room & spacious great room with beautiful linear gas fireplace and large windows. Gourmet kitchen with huge island and walk through pantry, large mud room. The upstairs features cozy master bedroom with large walk-in closet & luxurious bathroom. Total 3 bedrooms have attached bathrooms. Good sized loft with quality railing,upstairs laundry with sink. SEPARATE ENTRANCE +SECOND FURNACE+CONCRETE sidewalk to the basement, great potential for future development in law suite . Close to all amenities such as shopping, transportation,Major banks,Tim Horton ,Meadows Rec Ctr, easy access onto the Anthony Henday. 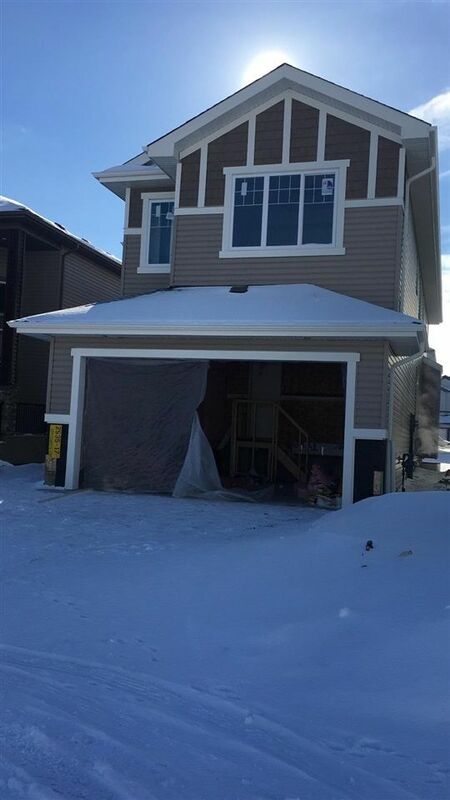 double car attached garage and walking distance to SVEND HANSEN k-9 school. Must see-being built as your dream House.